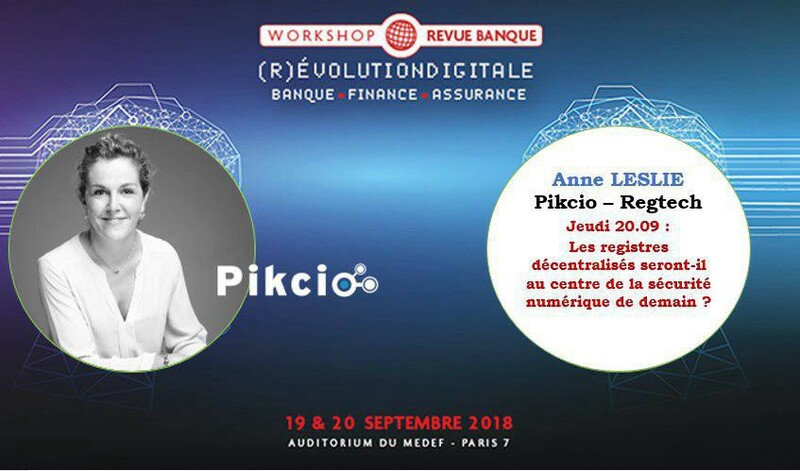 We are pleased to announce that Anne Leslie, Regtech director at Pikciochain, will be a speaker at the french-speaking event (Revue Banque) in Paris on September 19th & 20th, 2018. You’re invited to join us and take part in what promises to be a fascinating and animated discussion about how Artificial Intelligence & Digital Security will lead us into the next generation of Fintech! See you on the 20 September at 2.15 p.m FR at the « Auditorium du Medef — Paris 7 ».